“Queensland Digital Writing on the international stage: QUT and The Writing Platform” is an Arts Queensland-funded programme which supports collaborations between writers and interactive designers to develop works for exhibition on The Writing Platform. 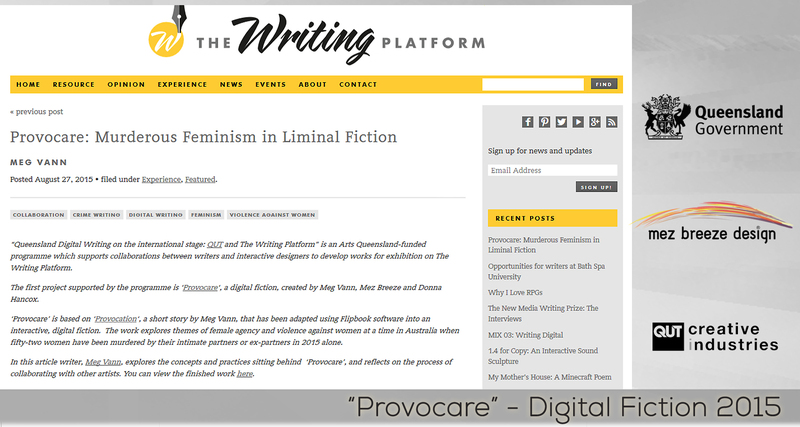 The first project supported by the programme is ‘Provocare‘, a digital fiction, created by Meg Vann, Mez Breeze and Donna Hancox. 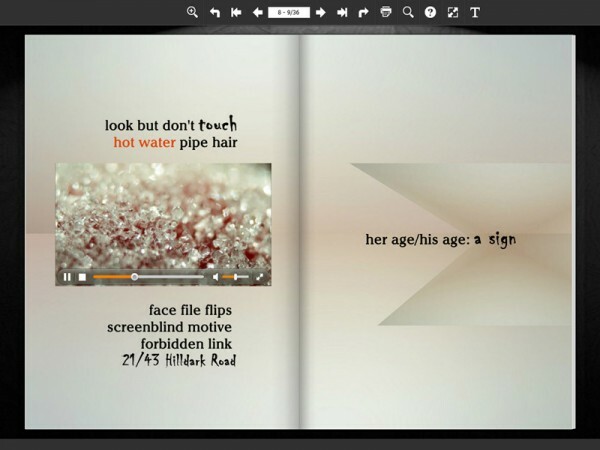 ‘Provocare’ is based on ‘Provocation‘, a short story by Meg Vann, that has been adapted using Flipbook software into an interactive, digital fiction. The work explores themes of female agency and violence against women at a time in Australia when fifty-two women have been murdered by their intimate partners or ex-partners in 2015 alone. In this article writer, Meg Vann, explores the concepts and practices sitting behind ‘Provocare’, and reflects on the process of collaborating with other artists. You can view the finished work here.